The scratchings of Tel: Vinny ! A bit of play in CS5 with multiply and a pencil brush on a parchment background. 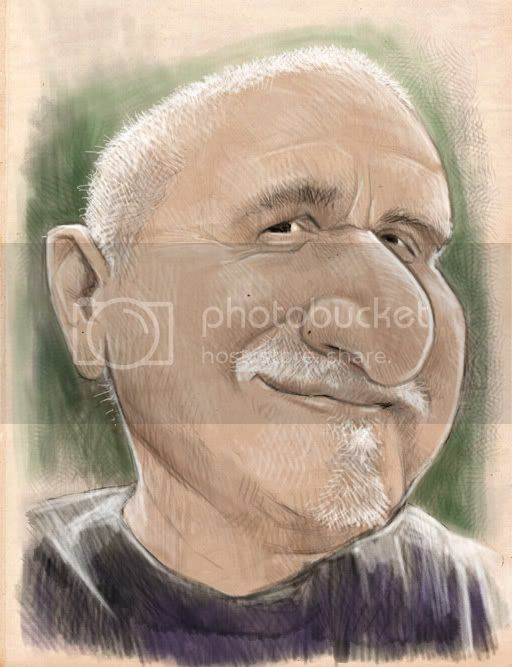 A caricature of Vin Altamore an American caricaturist I have the utmost admiration for - and a nice bloke to boot ! My unworthy attempts at emulating his style - sigh ! I think you got a good likeness, at least from what I've seen on the web! Good job with the Altamorish crosshatching too! I am very honored my friend...I hope having to stare at the reference didn't cause many sleepless nights!!! All the best always Terry!!! Thanks Ian and you too Vin !